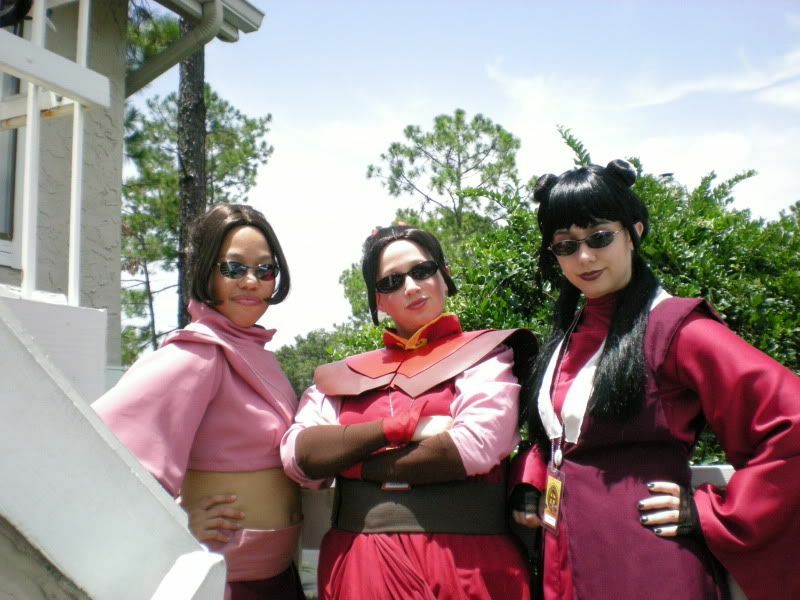 Here are a few more AFO pictures I just received from demonalchemist9. The first two are in a bit better lighting than the last batch I posted. 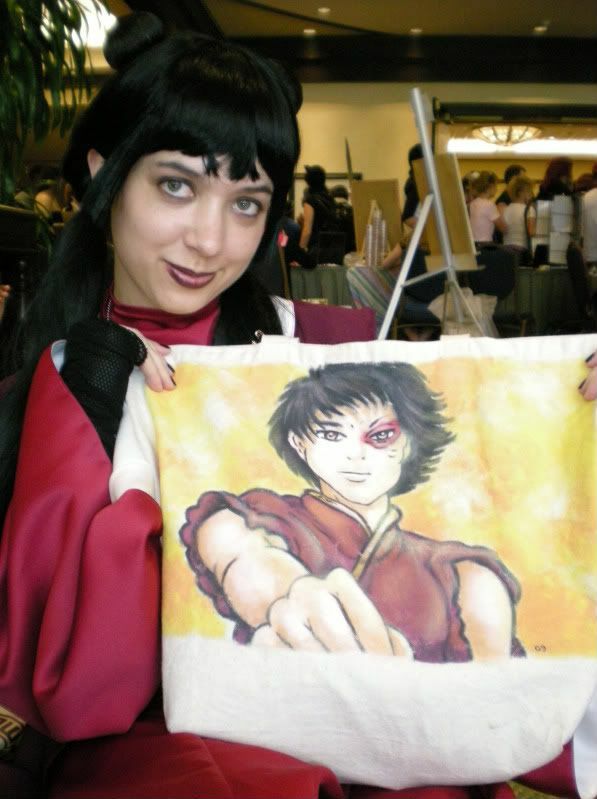 This is my favorite piece of Avatar swag: a canvas tote featuring a beautiful fanart depiction of the only thing that makes Mai smile, Prince Zuko. I bought it along with several prints by the same artist at Megacon earlier this year. Cute! I can't wait for the opportunity for all of us to do a shoot together. Yeah, we'll have to try and schedule that some time soon. Any thoughts on a good location? We did a Sailor Moon photoshoot at Kraft Azalea Park in Winter Park, and I thought it made a great setting. (If you want to see pics, there are some here). Wow, that park is so pretty! I don't recognize it, but it looks perfect. I don't know what your schedule is like for October, but the whole group is going to be here the 9th-11th for Not-So-Scary at Disney. While we have plans to have tea out there on Saturday (hopefully around 2 PM) we were thinking of doing a shoot later that afternoon or Sunday morning. Would that be okay? Could be. I'll ask the rest of my group and get back to you. how did I miss him putting his leg up like that? I really do not remember that happening! I don't know! As you can see, he did. 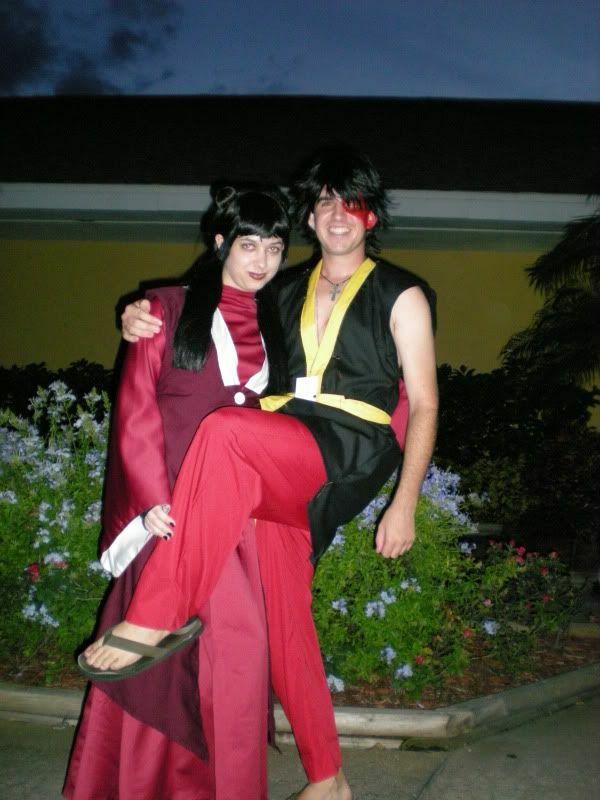 Um...if I recall correctly, it was the last pose we did, after a few pics of him with Azula, and then a few "straight" ones of me and him just standing close together.